Last Updated: 12 July 2013. 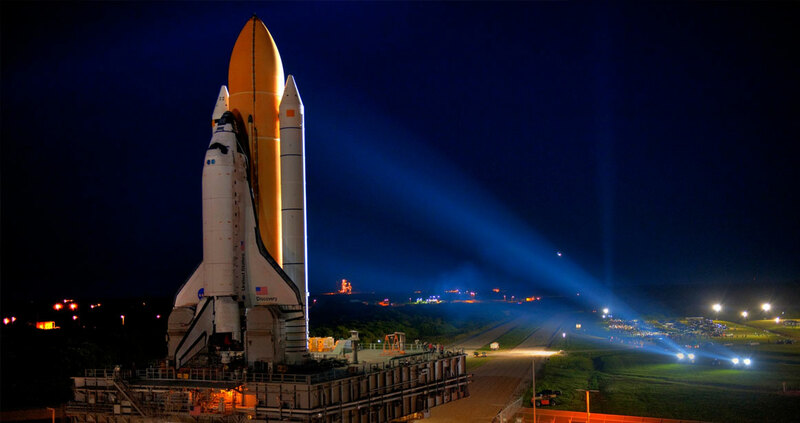 Space Travel considered as an impossible feat some years back has become a reality. Several nations are periodically sending space craft's for various reasons. The vast advancement in science and technology has made it possible. Once man succeeded in flying in the sky, his next aim was conquering the space. The Russians sent up the first man-made satellite Sputnik into space in 1957. Another space craft with a dog named "Laika" was sent into space by the Russians. Yet another space craft was sent up with test animals on board. These were followed by the launching of the first geophysical laboratory. In 1961, Yuri Gagarin the Russian cosmonaut created history by entering the space. The giant leap of mankind happened on July 21, 1969 when Neil Armstrong and Edwin Aldrin landed on the moon in their Lunar Module. They walked on the surface of the moon. After collecting the rocks they returned to earth. A few months later women cosmonauts took part in the space flights. They spent several hours in the space craft's subjecting themselves to various tests. Rakesh Sharma is the First Indian astronaut to go in space. Kalpana Chawla followed suit and made history by achieving the rare feat of travelling in space by dint of her sheer determination and hard work. She clocked an incredible 760 hrs in space, chases the globe halfway to touch the stars. From her girlhood days she dreamt of becoming an astronaut. She made Dr. A.P.J.Abdul Kalam's words true (i.e.,) "All great achievements start with dreams". Thanks to the sacrifices made by several cosmonauts and scientists, space travel which was once a fantasy has become a reality. With the setting up of space stations, space travel to distant planet, by ordinary citizens would become as simple as flights by air.